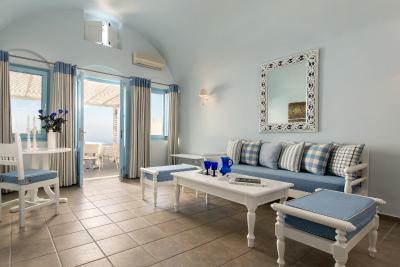 Lock in a great price for Andromeda Villas & Spa Resort – rated 8.5 by recent guests! The views at this hotel is spectacular! Room was spacious and had wonderful natural light. All of the shared common areas were beautiful and the staff was very helpful. 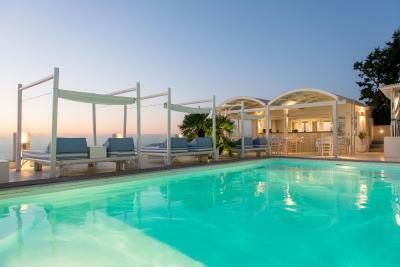 Right in the middle of Imerovigli and easily accessible to both the walking path to Fira/Oia and to the main road. The location was absolutely beautiful. Staff was mediocre and their shuttle arrangement was great. Wish I could say I liked more! Awsome View. Excellent Rooms. We stayed in a Junior Suite. It has close proximity to car/ATV rentals. 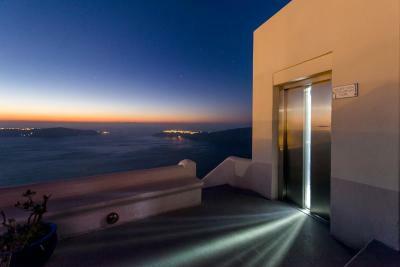 Fira is 20 mins walk (5 mins drive) and Oia is 20-25 mins drive. 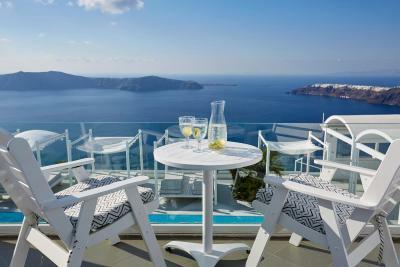 This hotel has the best view in all of Santorini. I would recommend watching the sunset from your room rather than Oia. The view was extraordinary, the breakfast was also good. 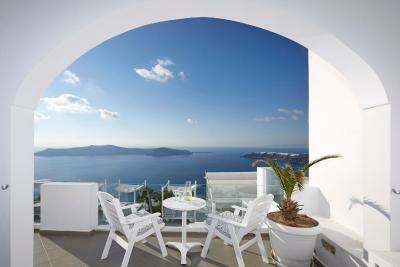 The location is really nice, close to some restaurants and in midway between Thira and Oia. The hotel has 3 pools around it, and all rooms have a view. 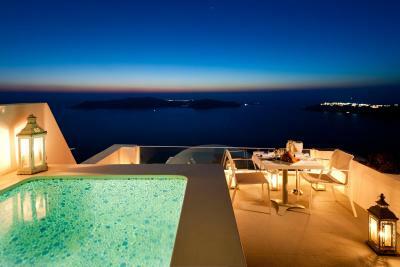 Spectacular view and accommodation. It is picturesque. Felt like I was in a fairytale. 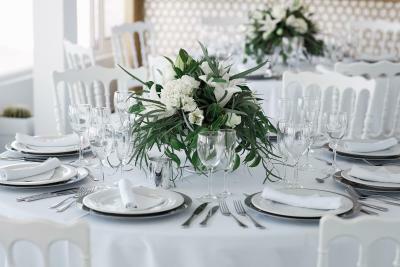 The staff is very friendly and extremely helpful with anything you need or would like to do. 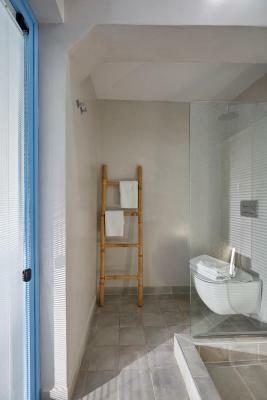 The property is in a great location with amazing views and easy to get to things. 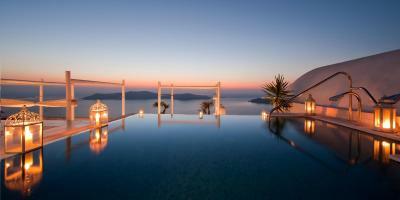 The Villa is an outstanding place to stay in Santorini. From the start we were treated superbly by Anastasia, the night receptionist. Since we got there a bit late she ensured our room was ready for us. 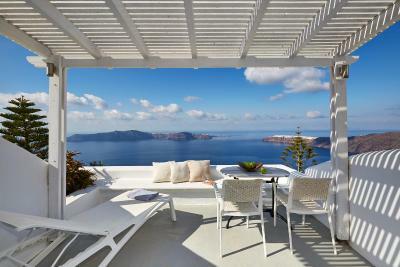 The property is in a marvelous location between Fira and Oia with great sights from the mountain side. The break fast was superb and the pool area was so cool with a great bar. We loved everything about our stay at the Villa and can’t wait to go back next year! 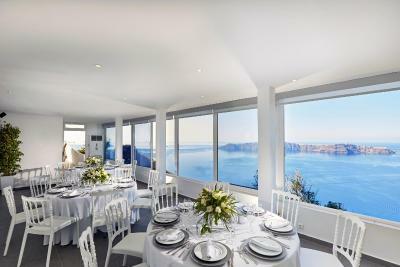 Nice location and beautiful view to the caldera - beautiful spot to watch the sunset. 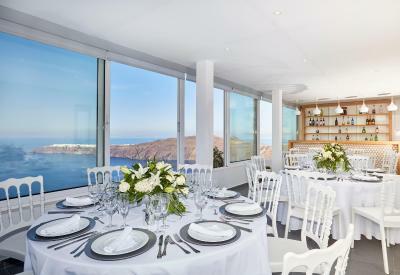 One of our top picks in Imerovigli.The elegant Andromeda Villas & Spa Resort are located in scenic Imerovigli, 984 feet above the dramatic Caldera. 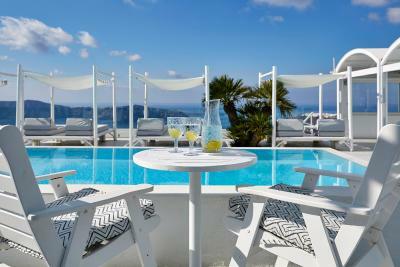 A swimming pool with views to the Caldera, sun terraces with complimentary sun beds and sunshades, lounging areas with hot tubs are all featured. 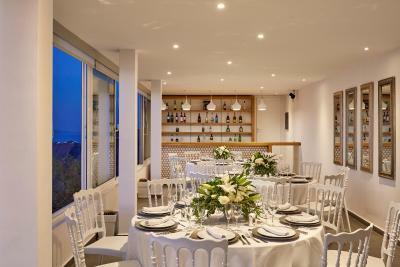 Your dining and drinking options at Andromeda Villas & Spa Resort include the breakfast room, restaurant, dinner restaurant, and outdoor café and pool bar. The location is ideal to explore the island and its unique beauties. A great number of exquisite restaurants, bars and shops can be found nearby. 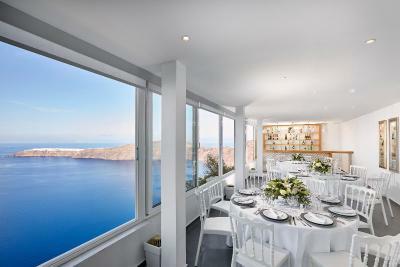 The capital of the island, Fira, is only 1.2 mi away. 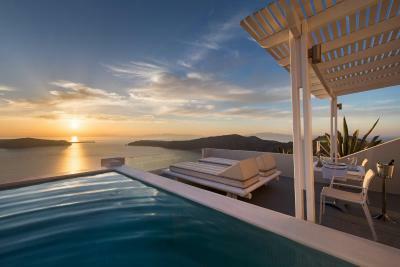 When would you like to stay at Andromeda Villas & Spa Resort? 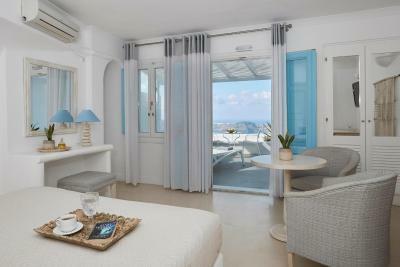 Spacious room with seating area, bathroom with shower, and furnished veranda with sea and Caldera views. A sofa bed can be provided upon request. 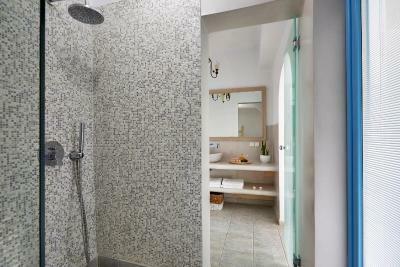 Spacious suite with marbled bathroom with shower and large private porch with lounge chairs and Caldera views. 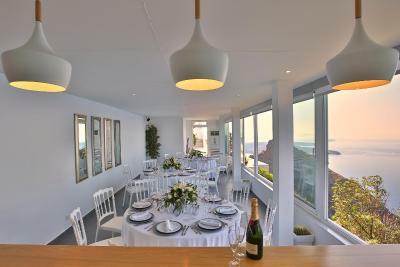 Large VIP suite with living room, marbled bathroom and private large veranda with sun beds, hot tub and sea and Caldera views. 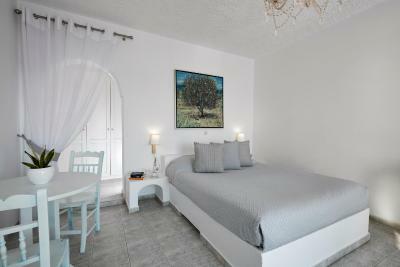 Features a bedroom, bathroom and furnished porch with sea and Caldera views. 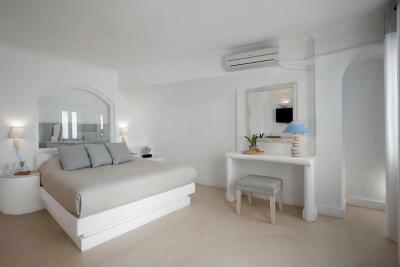 Spacious bedroom with sitting area, and private large porch with lounge chairs and Caldera views. Suite with spacious living room, marbled bathroom with shower, private large veranda with dinning area and heated hot tub and Caldera views. 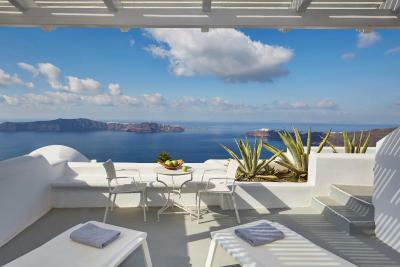 Featuring a private pool and views of the Caldera, this suite opens to a private, spacious terrace with lounge chairs and dining area. 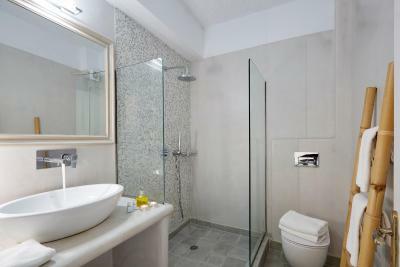 This family room features a electric kettle, air conditioning and tile/marble floor. 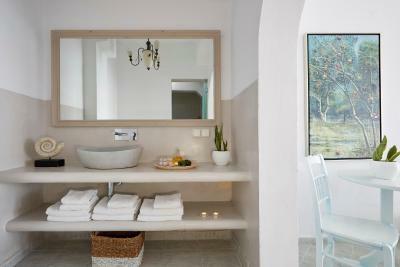 House Rules Andromeda Villas & Spa Resort takes special requests – add in the next step! Andromeda Villas &amp; Spa Resort accepts these cards and reserves the right to temporarily hold an amount prior to arrival. Andromeda Villas & Spa Resort accepts these cards and reserves the right to temporarily hold an amount prior to arrival. 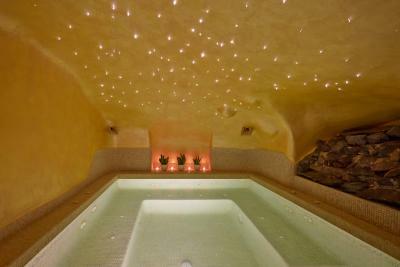 Please inform Andromeda Villas & Spa Resort of your expected arrival time in advance. You can use the Special Requests box when booking, or contact the property directly using the contact details in your confirmation. The staff where amazing, everyone went the extra mile to make our stay awesome. The location is incredible, the views are the highlight. We booked two rooms together for a family through booking.com at the same time. However we were given two rooms quite far apart at different levels which was 100 stairs apart. They don’t provide water on subsequent days - only first day. No toothbrush or toothpaste provided. 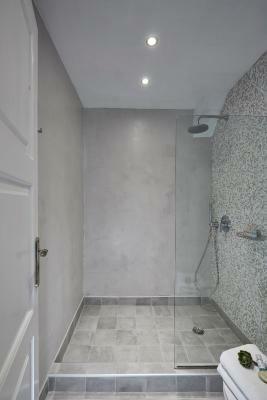 One of the rooms had a pretty appalling shower which would splash into the rest of the toilet everywhere. It was difficult to control the water temperature by turning the two knobs. 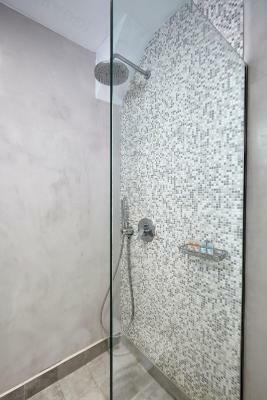 The other room was a lot better with nice shower. Parking is not on site - you need to park at the basketball court in the middle of the village, which is about 4-5 minutes away from hotel. It’s a real struggle to lift and drag your luggages down via all the steps to the hotel. 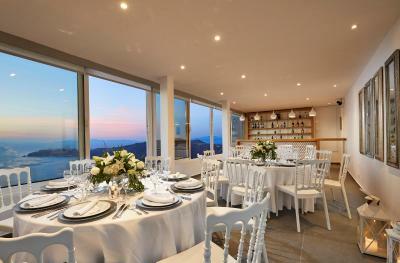 Beautiful views; reception staff was quick to respond to our problems and requests. The little town of Imerovigli is perfect with stunning views and not noisy/touristy at all in comparison to Fira. It’s less expensive than Oia. The location of the rooms at the Villa was excellent. 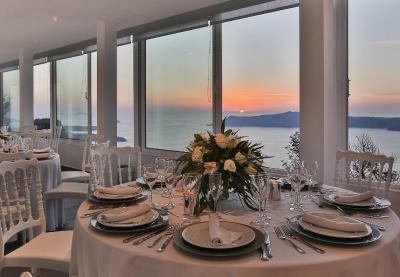 You got great views from the property including a view of the most beautiful sunset. The breakfast was good. Door to our room was broken so we couldn’t open it to see the view. They didn’t fix it when we reported it. Im having a bad expiration with the service, they offered me the bad room too noise and bad small. They belt man ask us too much tip but did the bad job and not help for bring the luggage. The bedding and towels could have been better. The bed could be a little more comfortable. White fluffy blankets would have given it a more "luxury" feel than the fuzzy brown blankets we had. Water pressure was rather low. Does not provide any slipper in the room. 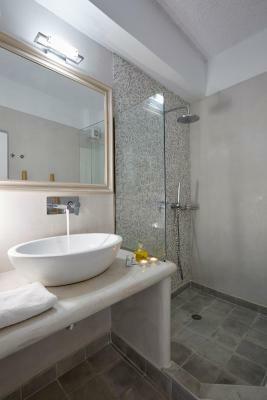 Does not provide shower cap and bottle water was only provided on the first of our 3 days stay. Location is (good) & bad... Bad in that it's quite far away from everything. With a lot of steps to get back to the main road into town. Location is good.....In that it's away from the busy town area and provides other opportunities to find another location to take your selfies with views. Staff were helpful and friendly. Place was clean. 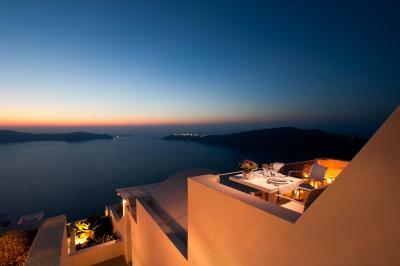 And like most Santorini hotels it has a pretty amazing view. Room was not ready until 1 hour 30 minutes after check-in. Room booked was a superior double with double bed but received two singles in a damp box room next to a service room where generator would start every 30 seconds making it difficult to sleep with. View from the hotel was amazing. Staff were extremely pleasant and helpful. Food was very good. Great views and good staff. The rooms were extremely cold. Our wifi did not work when we first got there so that took some time to fix. Although it was off season, the heater should still work to keep the room somewhat warm but it did not so we were freezing the ENTIRE time. Also we wanted to use the hot tub but it did not look very clean, we requested for them to clean it but they never got to it. Everything is perfect. 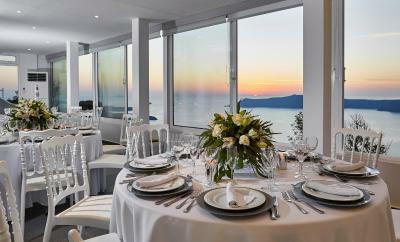 Amazing view amazing surroundings worth your money. Eventhough too many stairs but its worth the view.